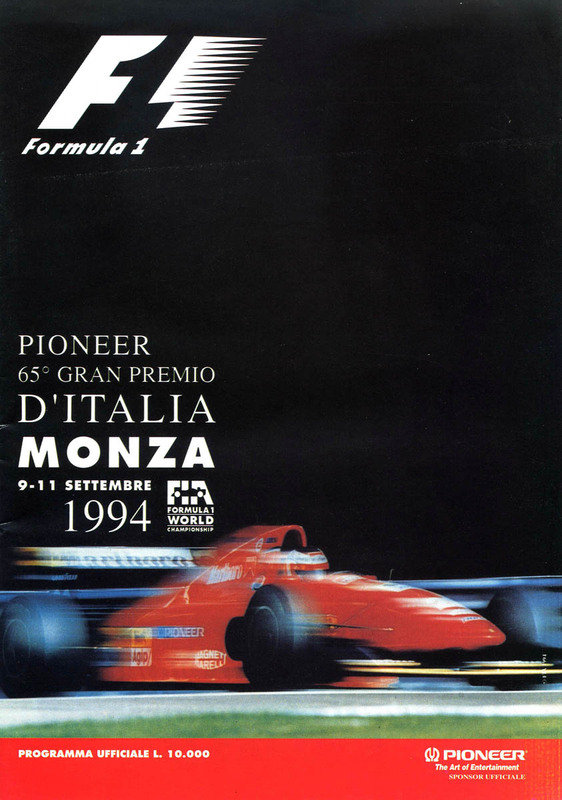 The 1994 Italian Grand Prix (formally the Pioneer 65o Gran Premio d'Italia) was a Formula One motor race held on 11 September 1994 at the Autodromo Nazionale Monza, Monza. It was the twelfth race of the 1994 Formula One World Championship. The 53-lap race was won by British driver Damon Hill, driving a Williams-Renault, with Austria's Gerhard Berger second in a Ferrari and Finland's Mika Häkkinen third in a McLaren-Peugeot. Frenchman Jean Alesi took pole position in the other Ferrari and led before suffering a gearbox failure on lap 15. The win enabled Hill to move to within 11 points of Michael Schumacher in the Drivers' Championship. Schumacher was banned for this race and the following race in Portugal for his actions at the British Grand Prix; his place at Benetton was taken by Finland's JJ Lehto, who had been his teammate earlier in the season. The day after the race, Lotus went into receivership; however, they would compete in the remaining races of the 1994 season. Lotus had brought an upgraded Mugen engine to Monza, allowing Johnny Herbert to qualify in a season-best fourth place, but hopes of a points finish were ended by a first-corner collision with Eddie Irvine's Jordan. The Grand Prix was originally cancelled on 12 August 1994 when local officials refused a demand to cut down 123 trees for reasons related to safety. The trees in question were located at the Lesmo corners which lacked suitable run off-areas. After the announcement, Gianni Letta, an Italian cabinet under-secretary went to Cannes to meet with FIA president Max Mosley to discuss the issue. The meeting, also attended by Ferrari driver and representative to the drivers Gerhard Berger, agreed that changes to the shape of the curve would reduce its speed. ^1 Eddie Irvine's Friday qualifying times were deleted because he completed 13 laps, one over the limit, during the session. ^2 Paul Belmondo did not take part in the Saturday qualifying session after destroying his car in a shunt in the morning's practice session. ^ "Motor Racing Programme Covers: 1994". The Programme Covers Project. Retrieved 12 November 2017. ^ "Italian Grand Prix called off". The Gainesville Sun. Associated Press. 13 August 1994. p. 16. ^ "Motor Racing: Italian Grand Prix reinstated: Revised scheme temporarily solves safety problem at Monza". The Independent. 15 August 1994. Retrieved 16 December 2012. ^ "1994 Italian Grand Prix". formula1.com. Archived from the original on 29 January 2015. Retrieved 23 December 2015. ^ a b "Italy 1994 - Championship • STATS F1". www.statsf1.com. Retrieved 18 March 2019.